As a coastal peninsula, the state of Maryland experiences a lot of radical weather ranging from heavy rainstorms, to dry and hot days. Because of this, the houses in the state have been known to experience problems when it comes to foundation repair and flooding. After dealing with a flooding problem in your home, the aftermath may be just as much of a nightmare. With the presence of heavy moisture in the home, mold is able to grow and thrive, causing property damage as well as risking the well being of you and your loved ones. Even in Woodlawn, a community outside the city of Baltimore, has been affected by these issues with mold inside the home. Bordered by the Patapsco River in the west, the town has experienced flooding, which is usually the prime culprit when it comes to mold development. There are unfortunate symptoms that humans experience when exposed to mold. These symptoms include nasal and sinus congestion, eye irritation, respiratory problems, cough, throat irritation, skin irritation, and headaches. In order to avoid these problems, the best thing would be to seek a mold remediation Woodlawn professional. These services will successfully eradicate your mold problem and help you prevent any problems in the future. How Does Mold Spread And Grow? 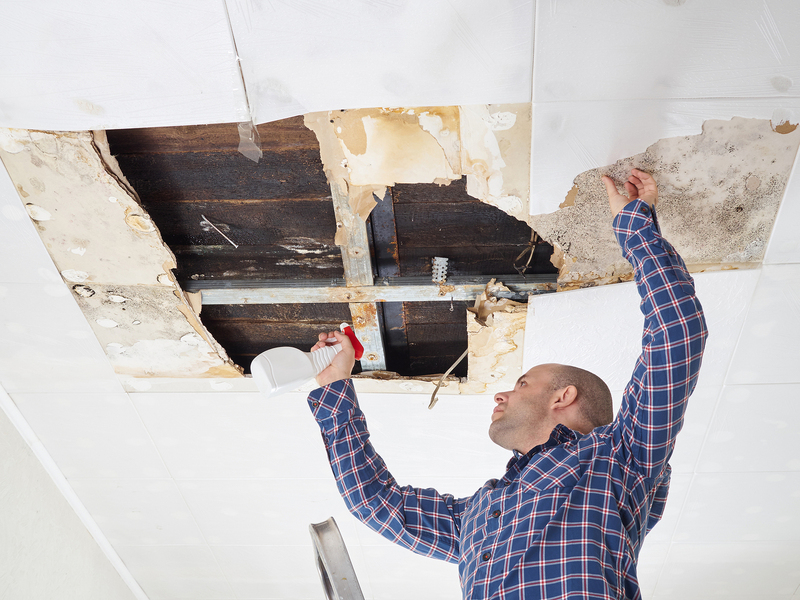 Mold can be found anywhere, and can grow and almost any substance if moisture is present. The mold reproduces through spores, which are carried by the air currents. If a spore lands on an area that contains moisture, it will begin to grow. Many common building materials are susceptible to mold if there is incomplete drying of flooring materials, flooding, and plumbing problems. Mold needs three things to grow: nutrients, moisture, and time. The nutrients that mold consumes come from cellulose, which is the cell wall of green plants. Moisture, which we’ve already discussed, allows the decaying process caused by mold to begin. With the first two factors in place, mold can begin to grow within 24 hours. Hiring a professional to do mold remediation in Woodlawn homes is a much safer and more effective approach than trying to do it all by yourself. They will remove and cleanup mold in these four steps. Firstly, mold remediation in Woodlawn homes requires repairing the water problem. By identifying the source of moisture and eliminating it, you are essentially removing the mold’s ability to grow. Secondly, mold remediation in Woodlawn homes requires isolating the contaminated area, shutting doors and vents to prevent the further spread of spores inside your home. Thirdly, mold remediation in Woodlawn homes requires removing, cleaning, and drying all items that were affected by the mold. The contractor will ensure that the whole area and your affected personal possessions are completely dry, so that no other problems will arise. Lastly, the contractor will replace and repair any decayed materials that were severely damaged by the mold. If you notice any type of mold growth in your home, treat it with caution and make sure to schedule a time for its removal. The purpose of remediation is to clean contaminated materials and areas so that the mold can’t spread to other areas of the home. As mentioned before, the state of Maryland has a climate that is high in humidity and extremely warm during the summer months. Mold that has been killed and treated may re-appear if moisture is able to enter your home once more. Luckily, a mold remediation contractor will identify the problems with moisture, and will know exactly how to combat these problems in your Woodlawn building or home.